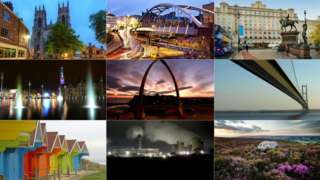 Breaking news, sport, travel and weather updates from across North, South, East and West Yorkshire. Hundreds of flowers have been turned into potpourri in memory of student Libby Squire. 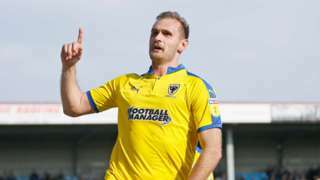 James Hanson's first-half double gives AFC Wimbledon's League One survival hopes a further boost as they win at relegation rivals Scunthorpe. Chris O'Grady and Callum Lang net as Oldham beat Grimsby in their first game since Paul Scholes quit at Boundary Park. 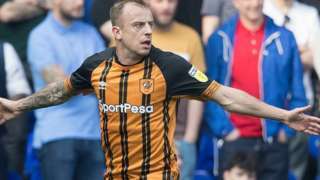 Hull City winger Kamil Grosicki nets twice as the Tigers nudge bottom club Ipswich closer to relegation from the Championship. 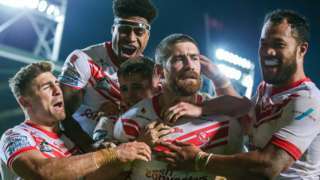 Super League leaders St Helens overcome a Hull KR fightback to make it eight wins out of eight this season. Police are looking for this man on suspicion of threatening staff with a needle and stealing perfume and aftershave from a chemist in Hull. He's accused of threatening staff at Boots on Whitefriargate, before stealing almost £90 of perfume and aftershave. No-one was hurt in the incident at about 17:00 on Friday 22 February and the man rode off on a bicycle in the direction of Parliament Street. More than 100 forecourts designed to charge electric cars are being built across the country and East Yorkshire will be among the first to get one. The forecourt in Bilton, near Hull, will have 24 bays allowing drivers to charge their vehicles in less than 30 minutes. Toddington Harper,chief executive of Gridserve the company behind the plans, said he wants to make "using an electric vehicle as straight forward as using a petrol station". These artist's impressions show the new visitor centre which will be built at Hull Minster after it received a £3.9m grant. The computer generated images show the extension, which will have exhibition spaces, a cafe and other visitor facilities. It will be built using funding from Highways England. The vicar of Hull Minster, the reverend canon Dr Neal Barnes, said: “It will enable us to fulfill the Minster’s potential to be a hub for visitors and tourists to the historic old town." England's oldest man, who was born in Hull, celebrates his 111th birthday today. Bob Weighton was born in the city in 1908 and spent his working life as a marine engineer. He's lived through the reign of five monarchs and seen 25 Prime Ministers come and go from 10 Downing Street. He now lives independently in Alton, in Hampshire, and says he doesn't know what the secret to long life is, but still takes sugar in his tea. He spends his time making furniture and writing for a local magazine. Mr Weighton is celebrating his birthday by officially launching his new book of poems, to raise funds for elderly people. He said he asked not to receive a royal birthday card because "I do not see why the state should pay for the Queen to send out all these things. It's not a personal thing." The emergency services are currently dealing with a fire near the M62 in East Yorkshire. Humberside Fire and Rescue Service say crews are currently in attendance in the Eastrington area. Staff at the McDonald's in Bridlington have started wearing bodycams because of recent anti-social behaviour in the area. McDonald's say employees wearing bodycams is not a company-wide policy and it has no plans to roll it out. But the company says staff at the branch, on the Bessingby Industrial Estate, have the option to wear one if deemed necessary. 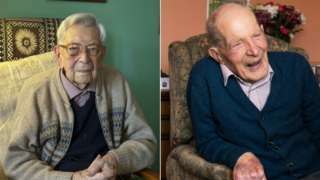 Alfred Smith, from Perthshire, and Bob Weighton, from Hampshire, were both born on 29 March 1908. Flowers left next to the bench where Hull student Libby Squire was last seen are being removed today to be made into potpourri. 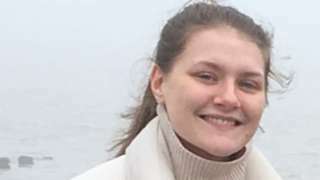 The philosophy student's body was found in the Humber estuary last week, with police treating her death as a "potential homicide". The scented gifts will be handed out to her friends, family and anyone else attending Hull Community Church on Mother's Day. Volunteers have all week been donating pots and planters and jam jars for use in the tributes for the 21-year-old who went missing after a night out earlier this year. Two state-of-the-art electric vehicle charging forecourts are planned for Yorkshire as part of a £1bn national scheme. One will be near Easingwold in North Yorkshire, with another in Bilton, East Yorkshire. The North Yorkshire site is close to the proposed 200-acre solar energy farm which is being built by the firm Gridserve. The company says it'll have dedicated areas for private cars and fleet vehicles like buses and lorries and that most charges will be done in less than half an hour. The firm says it hopes that vehicles will be charged using 100% solar energy. In a statement on Gridserve's website, the company says it hopes to make "electric vehicle charging as easy as using petrol stations". A Hull comedian has helped set up a scheme to provide hungry children in the city with food at the weekend. Lucy Beaumont is working with Hull and Humber Fareshare to give struggling families with primary school-aged children a backpack of food. They've been testing the Backpack Buddies scheme at five schools in the city and are so far helping about 50 children. She said: "Being a mother, I just wanted to do something to help." Video caption: "The secret to long life is to avoid dying" says England's oldest man. "The secret to long life is to avoid dying" says England's oldest man. Today will be dry and mainly sunny and at times will feel warm. People living in and around Preston in East Yorkshire are being advised to keep their windows closed this morning. If you're making a journey on the rails in Yorkshire this Friday morning, most services appear to be running to time.